The chief executive of the NHS suggested the four-hour wait time target in A&E departments could be done away with. The NHS as a whole has not met the target of treating 95 per cent of patients within four hours since 2014, figures show. 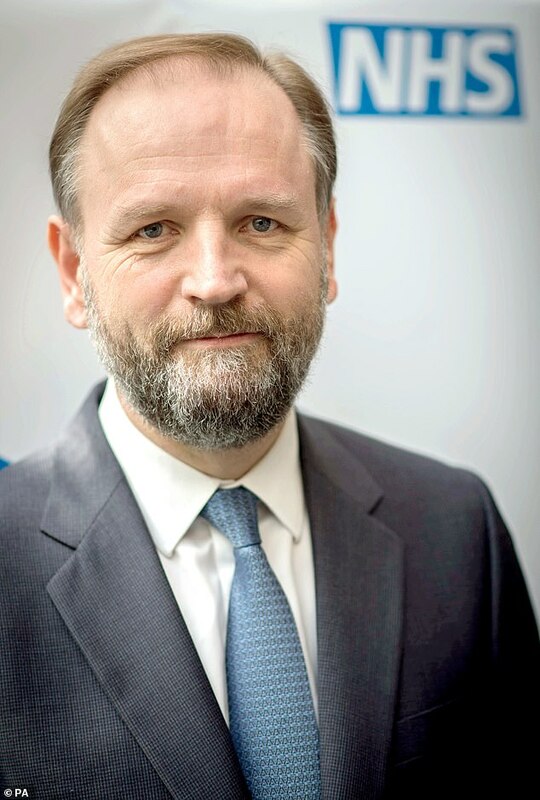 On Radio 4’s Today programme this morning, Simon Stevens said hospitals needed to make an official distinction between targets for A&E patients who needed to be seen quickly and those who could wait. He said ‘tougher and faster standards’ were needed for serious cases, suggesting minor injuries or illnesses may have the time limit relaxed or taken away, The Telegraph reported. Mr Stevens said: ‘[The current set of standards] doesn’t distinguish between turning up at A&E with a strained finger or turning up with a heart attack. A review of operating standards is already under way. Since 2000, hospitals have been told to ensure 95 per cent of patients are seen within four hours but this has been repeatedly missed over the past two years. Former Health Secretary Jeremy Hunt made a similar suggestion in January 2017, during a winter crisis for the NHS. In a series of drastic measures to relieve some pressure, he hinted that the four-hour treatment target could be limited to serious cases. Labour’s Shadow Health Secretary at the time said abandoning the four-hour target would be an admission of ‘total failure by the Government’.